Discover Lawrence Public Transit options. K-10 Connector “The Jo” – Affordable transit option operated by Johnson County Transit, which runs Monday through Friday between the KU Lawrence Campus, Johnson County Community College, and the KU Edwards Campus in Overland Park, Kansas. The KU Card can be used for more than your official ID, you can use your card for photocopy services, food purchases, access, and more with a Beak 'Em Bucks deposit. In addition to providing workstation and technology support for all areas of campus, learn more about other campus wide services you might be eligible for such as the Jayhawk Wi-Fi network, Blackboard, research file storage, free and discounted software for home use (including Microsoft Office and adobe Creative Cloud) and free classes. Learn more about KU’s commitment to diversity and providing equal opportunity and access. Sign up for resources to alert you to an event a health and safety event. 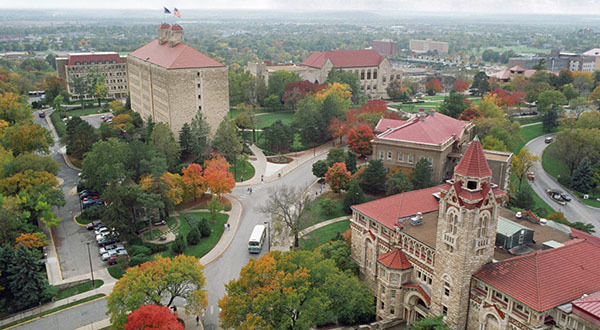 KU Faculty and Staff in regular positions have access to the amenities provided at Robinson Center free of charge with verification of a valid his/her/their KU Card. Employees may join the Ambler Student Recreation and Fitness Center for a low monthly fee. Need to park on campus? Explore your parking permit options available for purchase.